B.S., M.S., and Ph.D. all in Department of Computer and Information Science, National Chiao Tung University, Hsinchu, Taiwan. 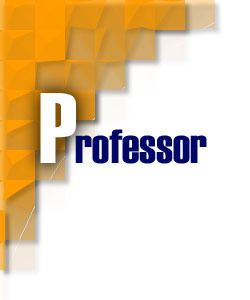 Aug. 2003 ~ , Assistant Professor, Department of Computer Science, National Chung Hsing University, Taichung, Taiwan. Aug. 2002 ~ Jul. 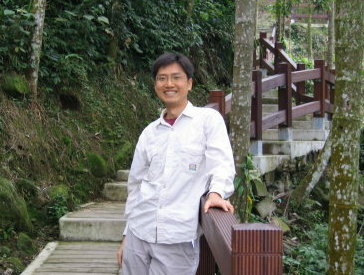 2003, Assistant Professor, Department of Electronic Engineering, National Changhua University of Education, Changhua, Taiwan. Sep. 2001 ~ Jul. 2002, Postdoctoral Fellow, Microelectronics and Information System Research Center, National Chiao Tung University, Hsinchu, Taiwan.
. H. P. Chang, S. Y. Liao, D. W. Chang and Guo-Wei Chen, 2014. "Profit data caching and hybrid disk-aware Completely Fair Queuing scheduling algorithms for hybrid disks,"Software: Practice and Experience.
. D. W. Chang, H. H. Chen, D. J. Yang, and H. P. Chang, “BLAS: Block-Level Adaptive Striping for Solid-State Drives,” ACM Transactions on Design Automation of Electronic Systems, Vol. 19, No2, March 2014.
. H. P. Chang, Yen-Ting Liu, Shang-Sheng Yang, “Surviving Sensor Node Failures by MMU-less Incremental Checkpointing," Journal of Systems and Software, Vol. 87, pp. 74-86, January, 2014.
. Y. P. Chi, H. P. Chang, “An Energy-aware Grid-based Routing Scheme for Wireless Sensor Networks," Telecommunication Systems, Vol. 54, No.4, pp. 405-415, December 2013.
. Y. P. Chi and H. P. Chang, “A Tracking-assisted Routing Scheme for Wireless Sensor Networks,” Wireless Personal Communications, Vol. 70, No. 1, pp. 411-433, May 2013.
. H. P. Chang, Hui-Wen Kan, Ming-Hsin Ho, “Adaptive TCP Congestion Control and Routing Schemes Using Cross-layer Information for Mobile Ad Hoc Networks," Computer Communications, Vol. 35, No. 4, pp. 454-474. February. 2012.
. H. P. Chang, Y. C. Lin, and D. W. Chang, “An Online Reprogrammable Operating System for Wireless Sensor Networks,” Journal of Information Science and Engineering (SCI), Vol. 27. No. 1, 2011. (SCI).
. H. P. Chang, Y. C. Lin, and S. H. Chen, “An End-to-End Based Protocol and Applications Adaptation Scheme in Vertical Handoffs,” Software: Practice and Experience (SCI), Vol. 38, No.8, pp. 739~771, 2009.
. S. C. Hsu, H. P. Chang, “A Hybrid efficient routing protocol for sink-oriented ad-hoc sensor networks, ” International Journal of Mobile Communications (EI), Vo. 7, No. 6, pp. 695-714, 2009.
. S. C. Hsu and H. P. Chang, “Distributed Aggregation Service for Mobile Wireless Ad-hoc Sensor Networks,” International Journal of Mobile Communications (EI), Vol. 5, No. 6, pp.692-709, 2007.
. H. P. Chang, R. I. Chang, W. K. Shih, and R. C. Chang, 2001, “Real-Time Disk Scheduling for Multimedia Applications by Enlarged-Maximum-Scannable-Groups," Journal of Applied Systems Studies, Vol. 2, No. 3, pp. 151-166.
. Y. P. Chi and H. P. Chang, 2009, "TRENS: a Tracking-assisted Routing Scheme for Wireless Sensor Networks", accepted by The 10th International Symposium on Pervasive Systems, Algorithms and Networks (I-SPAN 2009), Dec. 14-16, Kao-Hsiung, Taiwan.
. S. T. Chiou and H. P. Chang, 2008, "An Error Detection and Recovery Scheme for Dynamically Downloadable Modules in Wireless Sensor Networks", International Computer Symposium (ICS), Nov. 13-15, Taipei City, Taiwan.
. Y. C. Lin and H. P. Chang, 2007, "VA-TCP: A Vertical Handoff-Aware TCP", ACM Symposium on Applied Computing (SAC), poster, March. 11-15, Seoul, Korea.
. C. H. Li and H. P. Chang, 2006, "SenCore: an Embedded Operating System for Wireless Sensor Networks,", Proceedings of International Computer Symposium (ICS), pp. 50-55, Dec. 4-6, Taipei, Taiwan.
. S. C. Hsu, and H. P. Chang, 2006, "Aggregation Service for Ad-Hoc Sensor Networks: A Cluster On-Demand Distance Vector Routing Approach,", International Conference on Business and Information (BAI), July 12-14, Singapore. (Best Paper Award).
. H. P. Chang, and Q. J. Chen, 2006, "An Agile Vertical Handoff Scheme for Heterogeneous Networks,", Proceedings of the IEEE International Conference on Pervasive Services (ICPS), pp. 88-97, June 26-29, Lyon, France.
. H. W. Wei, P. C. Huang, H. P. Chang, and W. K. Shih, 2005, "Scheduling Real-Time Information in a Broadcast System with Non-Real-Time Information,", short paper, Proceedings of the 11th International Conference on Real-Time and Embedded Computing Systems and Applications (RTCSA), pp. 289-292, August 17-19, Hong Kong.
. R. J. Kang, H. P. Chang and R. C. Chang, 2005, "A Seamless Vertical Handoff Scheme," Proceedings of the International Conference on Wireless Internet (WICON), pp.64-71, IEEE Comput. Soc., July 10-15, Budapest, Hungary.
. Q. J. Chen, H. P. Chang and P. N. Chen, 2005, "A Bridge-Node Aided Multi-Hop Routing Scheme," Proceedings of the 2005 International Conference on Wireless Networks (ICWN), pp. 173-176, Jun 25-30, Las Vegas, USA.
. C. E. Hsieh, P. N. Wu, T. C. Huang, D. W. Chang, H. P. Chang, and P. N. Chen, R. C. Chang, 2004, "Design and Implementation of an IEEE 802.15.3-based Ultra-Wideband MAC Controller," International Computer Symposium (ICS), Dec. Taipei, Taiwan, R.O.C.
. H. W. Wei, H. P. Chang, and W. K. Shih, 2004, "Real-Time Data Broadcast by PDM-EDF Algorithm," Proceedings of the 9th CDMA International Conference (CIC), Oct. Seoul, South Korea.
. Z. W. Huang, H. P. Chang, and R. C. Chang, 2004, "A Design and Implementation of an Ultra-Wideband Medium Access Controller," Proceedings of the International Conference on Networking (ICN), Guadeloupe, French Caribbean.
. Y. L. Lin, H. P. Chang, and R. C. Chang, 2003, " A Wireless LAN MAC Controller with Dual Mode Switching Capability," International Conference on Informatics, Cybernetics and Systems (ICICS), KaoHsing, Taiwan, R.O.C.
. H. P. Chang, R. I. Chang, W. K. Shih, and R. C. Chang, 2003, "Real-Time Disk Scheduling Algorithm with On-Disk Cache Conscious," Proceedings of the 9th International Conference on Real-Time and Embedded Computing Systems and Applications (RTCSA), pp. 248-262.
. S. Y. Chiu, H. P. Chang, and R. C. Chang, Dec. 2002, "Providing Mobile LAN Access Capability for Bluetooth Devices," Proceedings of the 9th International Conference on Parallel and Distributed Systems (ICPAD), IEEE Comput. Soc., pp. 631~636.
. H. P. Chang, R. I. Chang, W. K. Shih, and R. C. Chang, 2000, "Enlarged-Maximum-Scannable-Groups for Real-Time Disk Scheduling in a Multimedia System," Proceedings of the 24th Annual International Computer Software and Application Conference (COMPSAC), IEEE Comput. Soc., pp. 383-388.
. 葉宗佑，張軒彬, 2010,"設計與實作一個適用於無線感測網路下雙節點系統之檢查點與重啟點機制",2010數位生活科技研討會-人本智慧生活科技,Jun.24~25, Tainan, Taiwan (Best Paper Award).
. 李育翰，張軒彬, 2009,"設計與實作一個適用於無線感測網路下雙節點系統之檢查點與重啟點機制",全國計算機會議(NCS2009),Nov.27~28, Taipei, Taiwan.
. 林郁傑，張軒彬, 2007,"一個具備動態置換能力的無線感測網路作業系統",全國計算機會議(NCS2007),Dec.20~21, Taichung, Taiwan.
. 王彥程，張軒彬, 2007,"一個有效率的無線感測網路動態更新機制",二○○七 「開放原始碼」技術與應用研討會, Nov. 1~2, Taipei, Taiwan.
. 周正財，張軒彬, 2007,"利用無線感測網路設計與實作停車場之即時車輛定位系統",二○○七數位生活科技研討會, Jun.7~8, Tainan, Taiwan. The 4th International Conference on Frontier of Computer Science and Technology (FCST 2009), December 17-19, 2009 Shanghai, China. The International Symposium on Pervasive Systems, Algorithms, and Networks (I-SPAN), December 14~16, 2009, Kaohsiung, Taiwan.